Surrender to the call of the wild... experience the enchanting African bushveld at Idwala, a family run lodge in the malaria free Eastern Cape. Perched on a dramatic ridge overlooking a lush green valley, Idwala is sanctuary to a multitude of free-roaming game species and prolific birdlife. 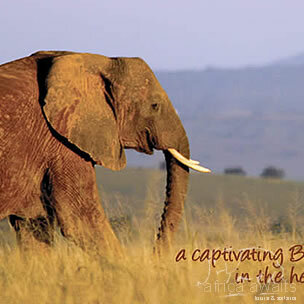 We offer you a personal invitation to treat your soul to the freedom of the wild. 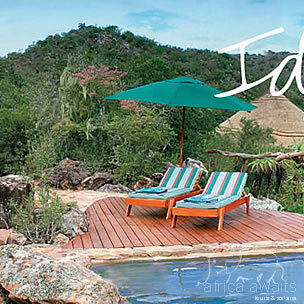 For it is here, where you will be captivated by the enchanting African bushveld. We will take you out on early morning and evening game drives throughout the year at optimum viewing times when game activity is generally at its peak. Guaranteed to inspire your spirit of adventure, our game drives will awaken your senses and quicken your pulse, ensuring memorable encounters with wildlife and nature. With your game ranger you can absorb the beat of the African bush as you track the Big Five - elephant, lion, leopard, rhino and buffalo. You will also marvel at the abundance of other animals in their natural habitat, including cheetah, hippo, warthog and a variety of antelope. 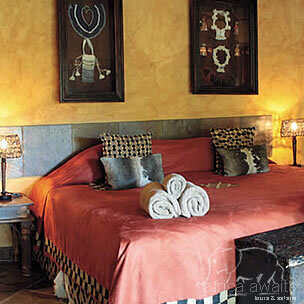 As we accommodate no more than eight people in four separate chalets, Idwala Lodge is a private and intimate venue for groups, friends and honeymooners. From the moment you arrive you will notice that everything possible has been done to make your stay special and spectacular. Hosts who will serve you a refreshing cocktail as your luggage is unloaded. We offer a comfortable lounge with a small library, a relaxing bar leading out onto an open wooden deck and an elegant dining room. As we accommodate no more than eight people in four separate chalets, Idwala is a private and intimate venue for groups, friends and honeymooners. A short walk along an elevated, wooden walkway will lead you to your private and luxurious chalet. Your bedroom with an en-suite bathroom and a private veranda, offering impressive panoramic views. All rooms are air-conditioned and, for your convenience, we offer tea and coffee-making facilities and a supply of mineral water. On request, airport transfers, a laundry service, fax and e-mail facilities will be arranged for you. With your holiday, safari or business trip from in to Idwala in Eastern Cape.